Nothing moves faster than technology, but geopolitics is picking up speed. In today’s world, a tweet by President Trump can cause a company’s stock to jump or plummet. A trade agreement can change everything. An executive order can leave employees stranded. Global companies, then, would be wise to do as Sonny Cave has done. Cave has a handful of titles at ON Semiconductor Corporation: executive vice president, general counsel, corporate secretary, chief compliance and ethics officer and chief risk officer. The latter has become especially important to Cave, who champions enterprise risk management, ERM, at ON Semiconductor. For Cave, ERM is an opportunity to consider the company’s portfolio of risks, look ahead to what new risks might emerge and guide business practices to mitigate those risks. Whether you know it or not, you rely on the products that ON Semiconductor makes. In a Best Buy® store, for instance, the company likely has chips in every electronic device on the shelves, Cave says. The $5-billion publicly traded company has more than 30,000 employees and stakeholders in 31 countries. A catalogue of its 64,000 products—the semiconductors essential to most electronic circuits—would look like a phonebook. Each of those 64,000 products, and the corporate infrastructure that supports them, has risks. For a company like ON Semiconductor, which spends billions on manufacturing materials alone, there’s a lot at stake. As chief risk officer, Cave mitigates those risks by predicting incidents before they happen and planning ahead. In 2014, Cave already held the chief compliance and ethics officer titles, but in order to make sure ON Semiconductor didn’t get caught flatfooted, as so many financial institutions had, Cave began to focus on risk at the enterprise level, which goes beyond compliance and ethics risk. He was appointed to chief risk officer by the CEO. The enterprise-level risks Cave initially found were minor but cumulative. For instance, some supplier vetting was superficial. ON Semiconductor would listen to what the supplier said, without always verifying that the information was accurate. In the worst cases, those suppliers turned out to be sham companies that provided inferior goods at the full market rate. “People weren’t really paying attention to all these risks in the nooks and crannies of the companies, so it was more just a progression of swinging a spotlight on a lot of different things, versus finding some monster problems,” Cave says. Today, 20 employees, called “risk champions,” lead the global program. ERM is built into each department’s operating structure, and Cave and his team present their findings to the board quarterly. The ERM program has matured, and the company is beginning to look at hypothetical risks, things that are around the corner and, in most cases, wouldn’t be considered. This spring, ON Semiconductor will begin holding biannual brainstorming sessions with 12 to 15 individuals from various business divisions. Cave calls it a “think-tank type approach.” He’ll encourage participants to forget all the risks they’ve been thinking about and, instead, look at risks that have never been on the radar screen. For instance, how would being the subject of a tweet by President Trump impact the company? How should global technology companies prepare for a possible breakup of the European Union? Or, if Malaysia and the Philippines decide to break ties with the West and create all new trade deals with China instead, how would that impact tech companies who rely on trade with those countries? “The issues I have to deal with are some of the most fascinating and complex global—and now geopolitical—issues that anybody can be faced with,” Cave says. Cave’s ERM approach has already proven valuable for the company. 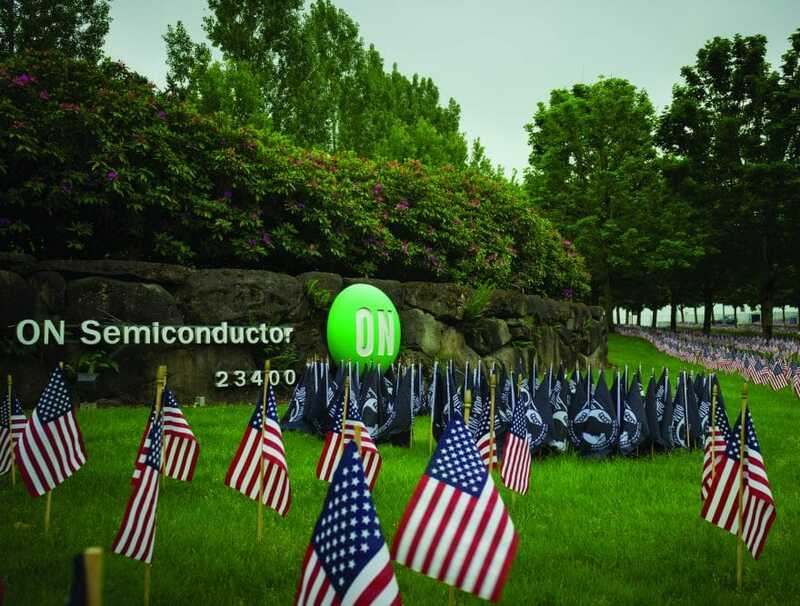 In 2016, ON Semiconductor acquired Fairchild Semiconductor for $2.4 billion, the company’s largest acquisition to date. After ON Semiconductor won the bid, a Chinese company with financial backing from the Chinese government, offered Fairchild a new, unsolicited deal at a higher price. Cave and his ERM team had foreseen a situation like this. “We wanted them to not even look at unsolicited proposals, but that was a deal killer, so then we tried to trim away at the edges,” Cave says. They convinced Fairchild to not simply assume that more money was better and required that ON Semiconductor be notified of such offers. When the Chinese company submitted its proposal, Cave argued that because the offer was from a Chinese company and Fairchild’s technology could be considered sensitive to national security, the deal might not be approved by the Committee on Foreign Investment in the United States (CFIUS), a federal committee that reviews the national security implications of foreign investments in the U.S. Even if CFIUS did approve the deal, the process would take a year. “That ended up carrying the day,” Cave says. Cave must ensure that ON Semiconductor remains nimble. The laws and policies set in stone today can easily be obsolete in two to three years. “Only 25 years from now, maybe even less, people will look back on [semiconductors] we’re making today, and they’ll view them as the equivalent of Stone Age people cutting flint to make arrowheads,” he says. ON Semiconductor makes a lot of products designed for the Internet of Things (IoT)—a network that allows communication between devices—autonomous, self-driving vehicles and robots powered by artificial intelligence. The use and deployment of these technologies are important when the company develops its risk profile. Cave is optimistic, partly because he’s confident in the next generation of leaders, for whom technology and its fast-paced nature is the norm. “It’s just the world we live in right now,” he says.